Romeo & Juliet take their love affair next-level: variety is the spice of life, right? 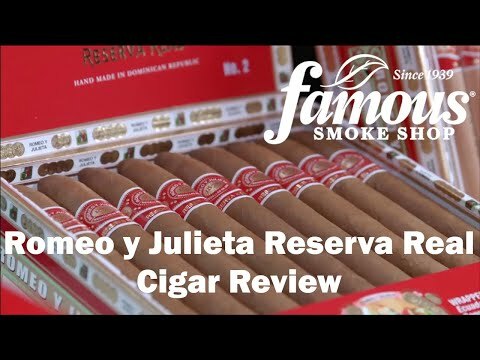 So is Nicaraguan tobacco...a spicy tweak to the original recipe has resulted in Romeo y Julieta Reserva Real - it's a big step up in flavor and body from the original, towards medium-full. Order a box today! Always a nice consistent smoke! You can?t go wrong! In the golf course or even while in the driving range. Inexpensive! 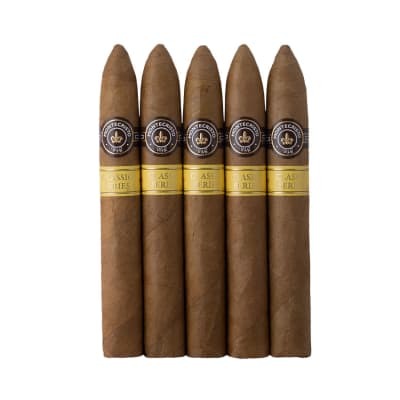 Just a great smoke! 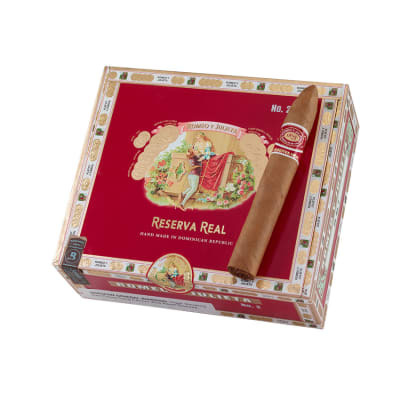 I have to disagree with the item description; this cigar is by all means a mild smoke. The flavor profile, as others have stated, is not a complex one. 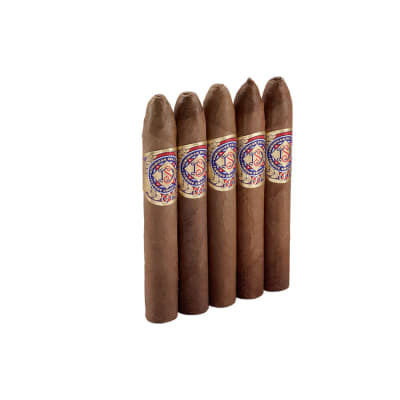 Very little flavor on the start develops into cedar with floral aromas and a good bit of pepper. Somewhat tight on the draw. Great burn and construction. Best ash I've developed in a while. Overall, I have to concur that this is a beginner's smoke, but a fairly good one. 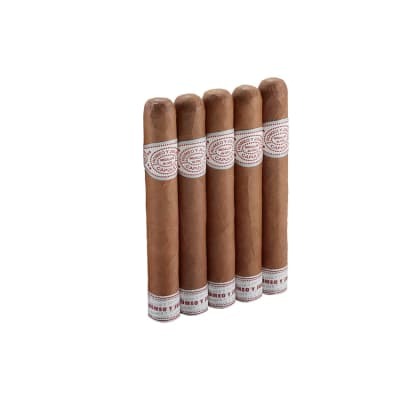 For a medium body cigar these are one smooth smoke with a true taste all the way through.